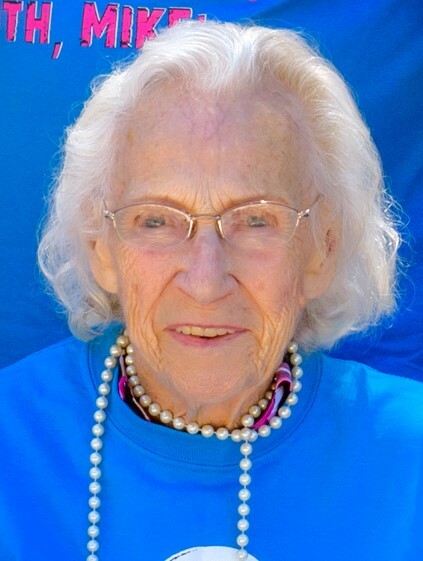 Delores “Mike” Howard, 92, of Spring Valley, MN passed away April 7, 2019 at Spring Valley Care Center where she had resided a short time. Gravside Service for Delores Howard will be held at 2:00 P.M. Monday, April 15, 2019 at Spring Valley Cemetery with Pastor Donna Dempewolf officiating. A Celebration of Life will follow at Five Wynds Event Center in Spring Valley from 2:30-4:30 P.M. Hindt Funeral Home is assisting the family. Delores E. V. Krahn was born June 15, 1926 in Bennington Township, Mower County, near Ostrander, MN to Frank and Mollie (Kraling) Krahn. She was the eighth child of ten, and attended country school near Ostrander until the 8th grade. She loved learning and wished for more, but was a teacher to all of us until the end. Delores married John H. Howard on October 11, 1944 and together they farmed and raised six children on the original Howard family farm north of Spring Valley. After John died February 19, 1984, Delores continued to farm and lived independently on the same farm until recently. Delores was very active most of her life and loved being surrounded by family. She spent many years caring for grandchildren and others and would help anyone in need. She gave to Habitat for Humanity and volunteered for Meals on Wheels. Delores had a great sense of humor, which earned her the nickname “Mike” and lovingly would “flip the bird” to friends and family. She enjoyed spending a week each summer at Norway Beach Resort at Cass Lake, MN and all her children have many memories of time spent at the lake. She enjoyed playing 500 and was an avid bowler, bowling mixed doubles with John and women’s league while still married and continued bowling in a women’s league until she was almost 90. She was a sports fan and attended many school sporting events to watch her children and grandchildren participate. She was an enthusiastic Minnesota Twins fan and also enjoyed watching the Timberwolves. Delores was never afraid to tackle a large project indoors or out. She could run power tools, could cut and hang paneling and trim, and painted and hung wallpaper. She could sew and enjoyed crocheting and many other crafts. Outdoors, she could drive a tractor, milk cows and do calf chores, and in addition to farming activities, she attempted landscaping projects around her home. She maintained and mowed a large yard until the past few years. She also had a green thumb and raised a croton into a large tree in her living room, and propagated jade plants, African violets and spider plants. Delores is survived by her six children, Elaine (Jim) Teske and Linda Sauer, both of Spring Valley, Deb (Michael) Carson of Red Wing, Phil (Jody) Howard of St. Charles, Micki (Scott) Anderson of Eyota, and Rachel (Amy) Howard of Duluth, twelve grandchildren, Lori Buchholtz, Brian Sauer, Mark and Dan Teske, Karri Lohmann, Tona Fierro, Desiree Howard and Sabrina Lawrence, Gina and Jessica Wolfgram and Miette and Mahala Anderson, thirteen great grandchildren and one brother, Lloyd Krahn, of Spring Valley. She is also survived by six step grandchildren and their families, and many nieces and nephews. She was preceded in death by her husband, six brothers, 2 sisters and son-in-law Andy Andrew. The family would like to express their appreciation and gratitude and say thank you to all the staff at Spring Valley Living for their compassion and loving care of our mother, and the comfort you provided to her.